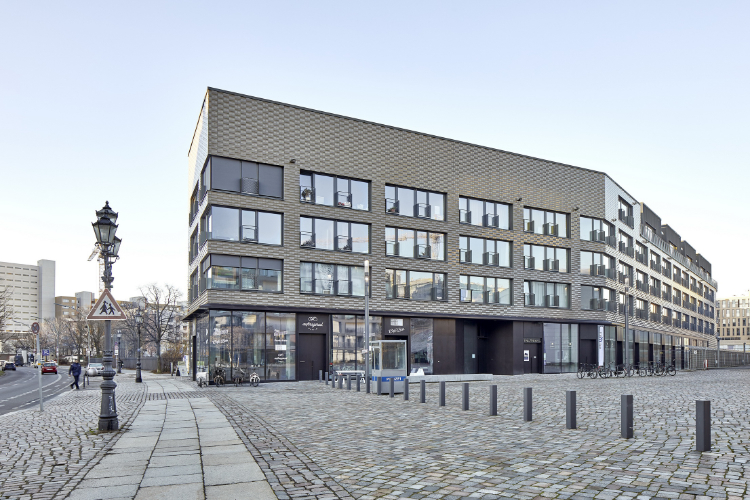 The municipal site between the Jewish Museum, the new TAZ building and the former flower wholesale market hall at Kreuzberg was not simply awarded to the highest bidder, but to the one who submitted the best concept for a development. 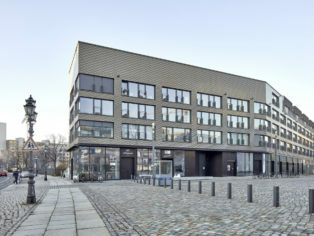 This procedure alone distinguishes the “Integrative building project at the former flower wholesale market” (IBeB) from most other German residential buildings. Also unique is the fact that the project development was not the responsibility of a group of investors, but rather of a merger of Selbstbaugenossenschaft (building cooperative) Berlin with the architects’ working group ifau | Heide & von Beckerath. The three-dimensional ceramic elements of the Craft series specially manufactured for the ETICS facade give the building an unmistakably plastic appearance which subtly underlines all these special features without pushing itself into the foreground. The main objective of the concept-bound award procedure applied here was a high degree of diversity and good mixing of the resident and utilisation structure. 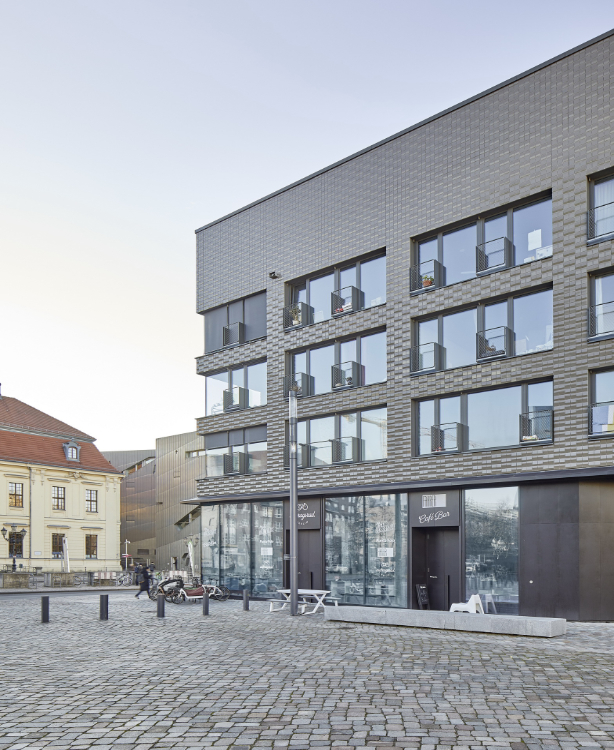 Accordingly, the new building has not only cooperative residential, studio and communal areas, but also privately owned studios and apartments, commercial areas as well as rooms offered by the Protestant Association of the Deaf in Berlin. In addition, there is an internal cross-subsidisation within the project which – by means of a higher price per square metre for the owners – ensures that the rents for the cooperative members remain comparatively low at 9.50 euros/m². Not least thanks to this forward-looking model, it was possible to build a house that, with the maximum possible layout of the development plan, forms a city within a city*. A glance at the apartments, studios and access routes shows that the overall picture at IBeB is dominated by raw exposed concrete, metal and wood surfaces. 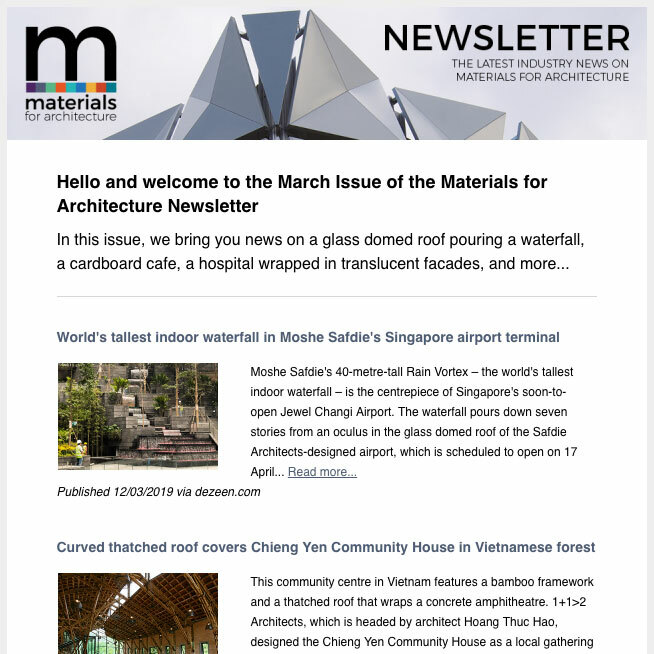 These materials create a direct, authentic spatial impression, against the background of which the numerous living and working ideas of the users can unfold all the better. 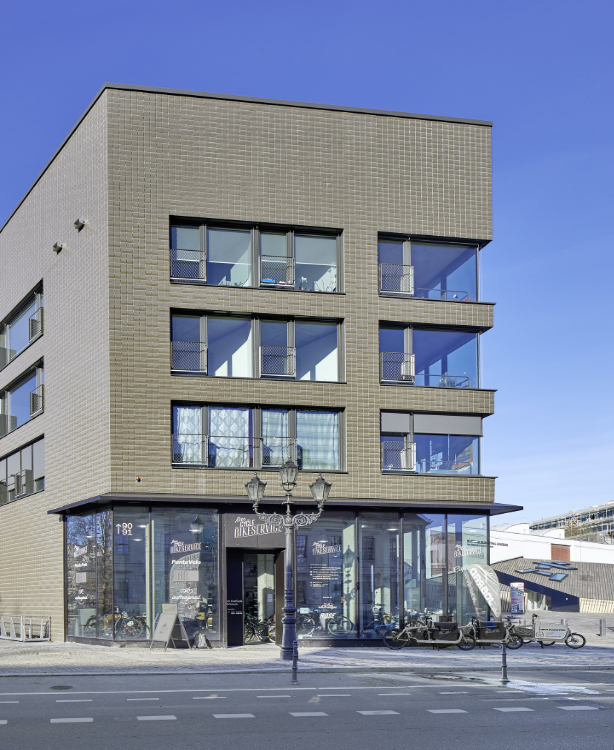 For the building envelope, the architects were looking for a building material that would not only be just as robust, technically and naturally elegant, but would also do justice to the special location of the building. 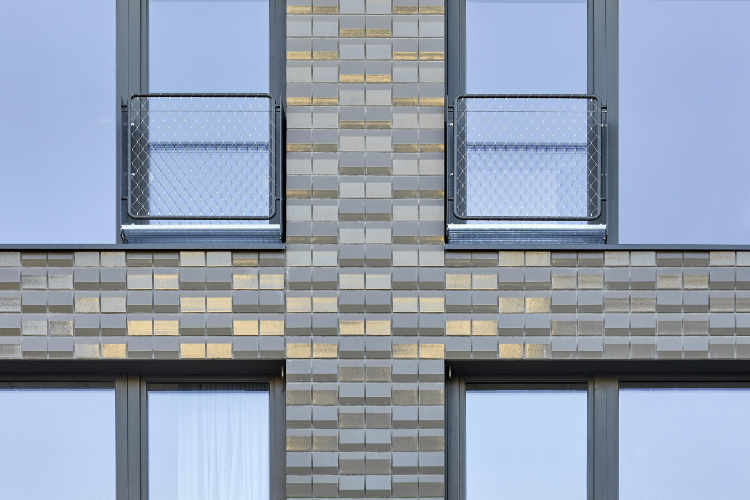 The medium grey glazed ceramic elements of the Craft series, developed by the architects and Agrob Buchtal especially for this project, achieve both – a facade consisting of thousands of pixels, which, depending on the point of view, sometimes appear light and sometimes dark. The shimmering effect of the identical pixels is partly due to the slightly iridescent colours of the ceramic elements fired in the traditional way in the tunnel kiln. Above all, however, it is based on its irregular triangular cross-section (which produces two differently inclined faces) as well as on its mounting, which in pairs is always rotated alternately by 180°, providing a wide variety of light reflections and reflections. In a way, the facade thus symbolises the diversity and complexity of the project, even when viewed from a great distance. 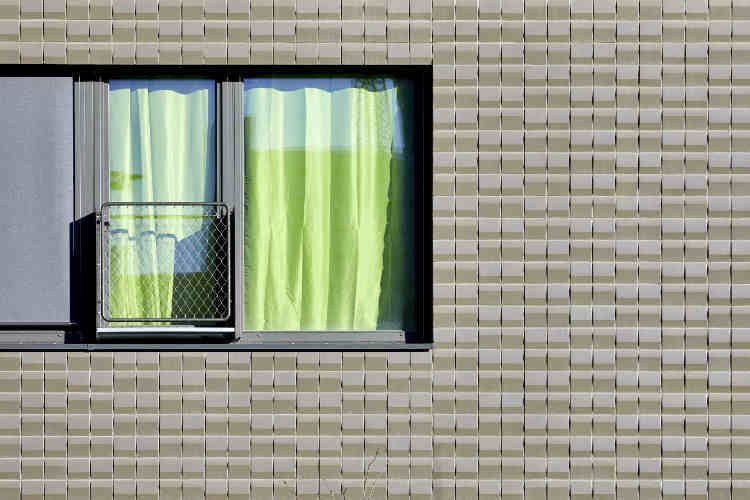 The installation of the facade ceramics was carried out with laying mortar by the “buttering-floating method”, i.e. with application both on the reinforced flush-mounted layer of the ETICS and on the reverse side of the ceramics. The joint portion required for ETICS facades to ensure sufficient vapour diffusion was achieved without any problems thanks to the small-size elements. Numerous model studies by the architects formed the starting point for the final choice of use and arrangement of the ceramic elements. Their material thickness was balanced by the manufacturer in such a way that the stability is guaranteed and at the same time an impermissibly high surface load is avoided. This means that it is a design and technical custom-made product which, however, did not go beyond financial limits. 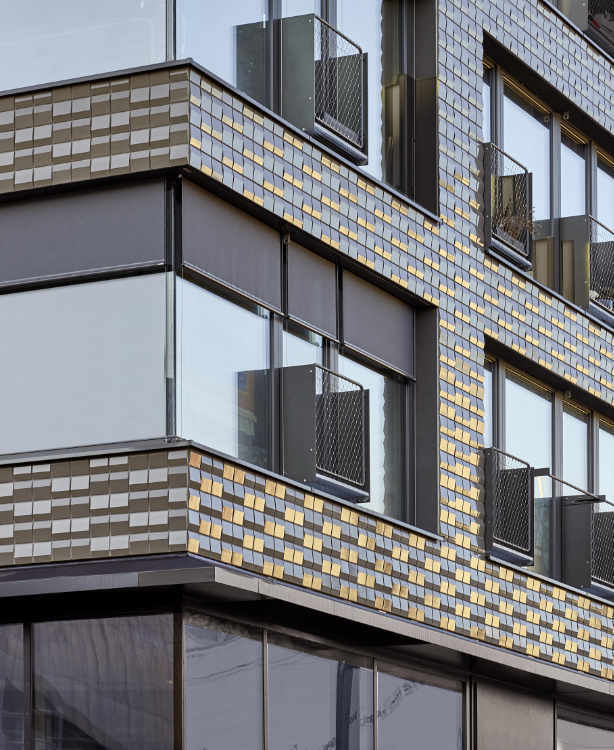 In terms of base material, glaze and colour, the ceramic elements used for the facade of the IBeB correspond to the two-dimensional flat tiles of the Craft series. The comparatively slight change in the orthogonal standard cross-section alone resulted in a characteristic three-dimensional product, which now contributes significantly to the unmistakable appearance of a unique project. This uniqueness was honoured with the BDA Prize Berlin 2018, among others. 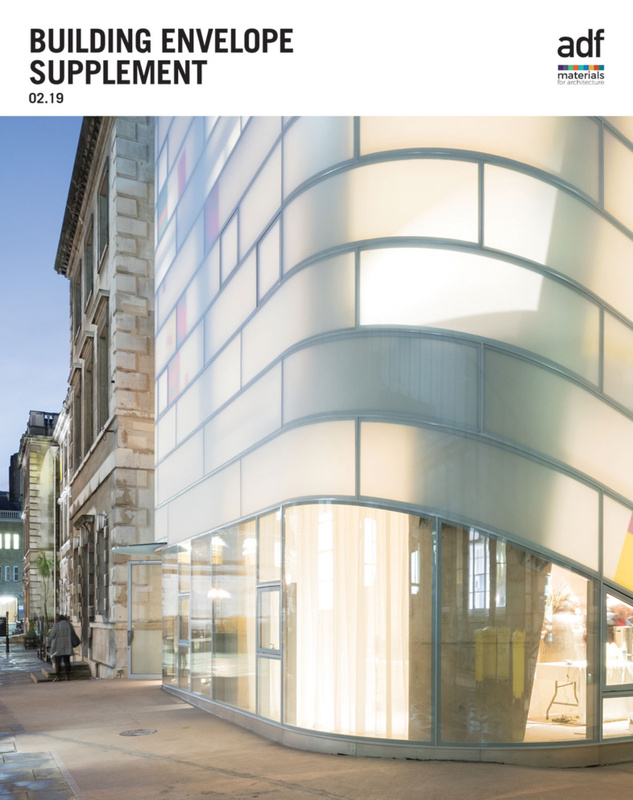 The IBeB was also a finalist of the Prize of the German Architecture Museum 2019 and was shortlisted for the Mies van der Rohe Award 2019. The layering of the various uses is clearly visible from outside through the glazing of the two lower storeys. 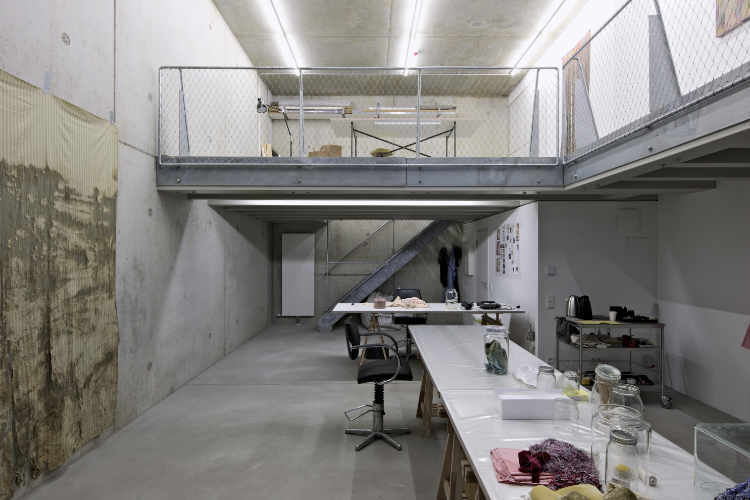 Here, in addition to a bicycle shop and a restaurant, there are also the studios for artists and other creatives in the cultural sector, while a total of 66 apartments, some two-storey and between 24 and 132 m² in size, are located above. The latter can be easily linked or divided and thus easily adapted to changing user requirements. They are made accessible by access paths arranged centrally on the 2nd and 5th floors. 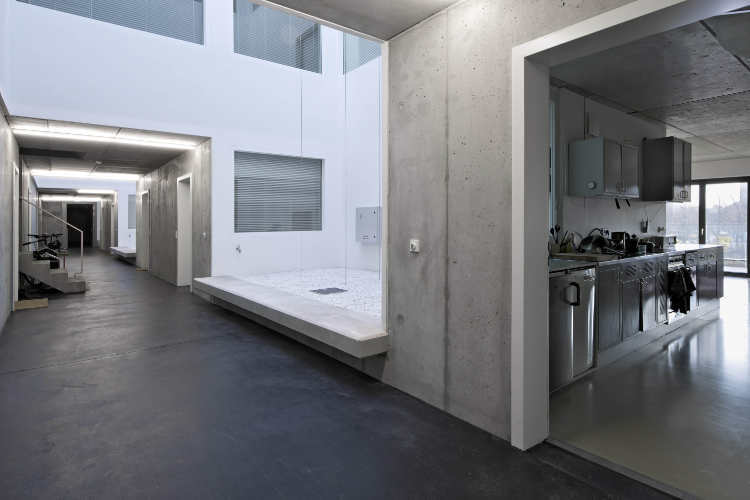 These are interconnected by five greened atriums, which provide the lighting for the apartments up to 23 m deep and at the same time offer subtly designed rooms for common activities.